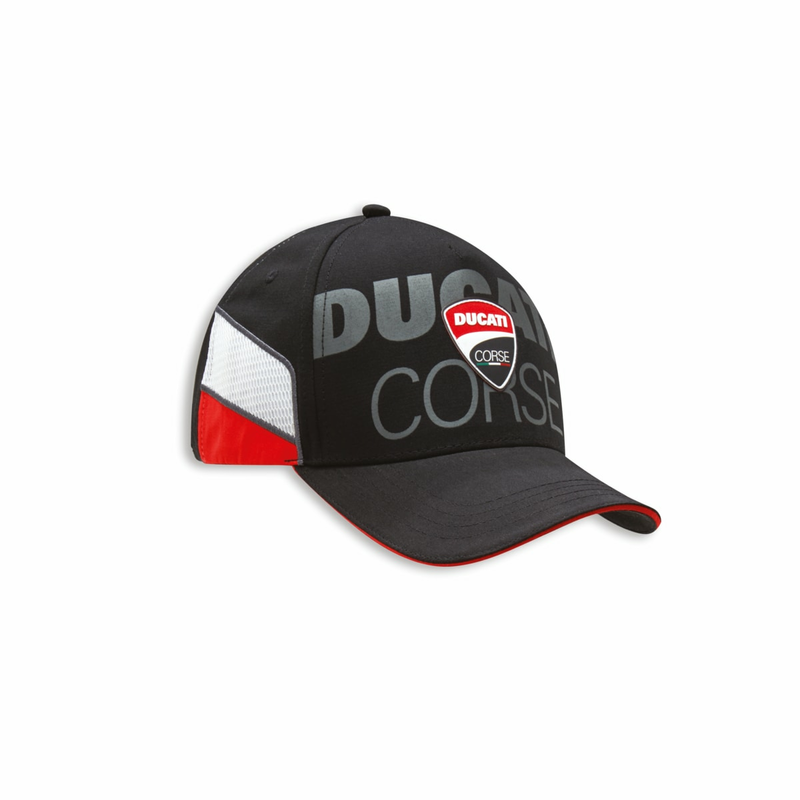 Polyester Ducati hat with side inserts in 3D mesh. 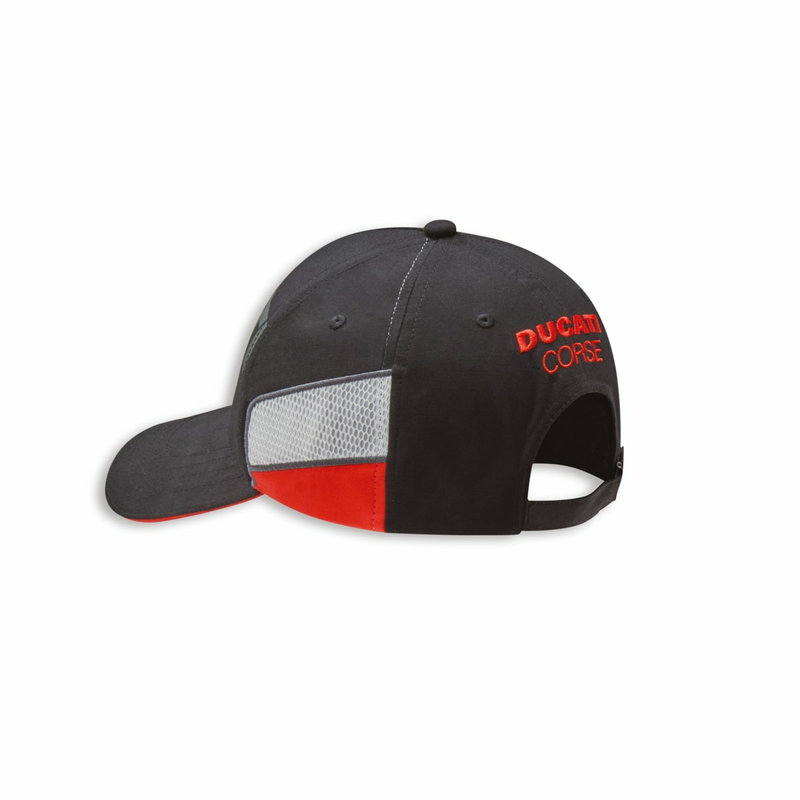 Dynamic cut and Ducati Corse patch that stands out on a tone-on-tone print. The accessory that is most coveted by little fans.